The two companies are planning a limited initial deployment to gather additional real-world data before wider release. 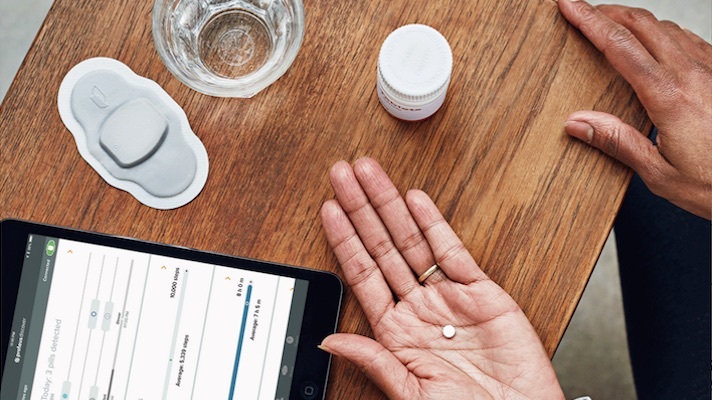 Otsuka Pharmaceuticals and Proteus Digital Health’s sensor-carrying pill Abilify MyCite is on its way to US patients thanks to a new collaboration agreement between Otsuka and Magellan Health. Announced this morning by the pharmaceutical company, the rollout will initially be limited to give Otsuka and Magellan a better idea of how best to deploy the technology at scale. Approved by the FDA in November 2017, Abilify MyCite is the first treatment delivery system to combine a drug with a digital ingestion tracking system. Comprised of an ingestible sensor, wearable patch, a mobile app, and the drug itself, it is prescribed for treatment of schizophrenia, acute treatment of manic and mixed episodes associated with bipolar I disorder and as an add-on treatment for depression in adults. According to a report from STAT, the treatment will come at the cost of $1,650 per month and likely be deployed to Medicaid members living in Florida and Virginia, among other regions. With initial rollout of the system within Magellan Health’s mental health provider network, each company will be focused on observing how it will be used by patients and practitioners alike. By reviewing these behaviors and the resulting real-world outcome data, Otsuka said that it will look into ways to continue improving the system for future use. Otsuka and Proteus’ digital pill received some scrutiny from privacy pundits and consumer advocates when it was first approved last year, but that hasn’t stopped Proteus from cutting deals with organizations interested in its ingestion tracking technology. Meanwhile, initial explorations of the sensor technology for other conditions, such as HIV, have also yielded promising results.